With 20 years’ experience in the industry, Alex Shterenberg has also worked at UBS and at JP Morgan where he was global head of FX execution services. Barclays has hired the global head of FX algorithmic trading at Bank of America Merrill Lynch to lead its eFX business for G10 and emerging markets (EM). Alex Shterenberg has been appointed global head of G10 and EM eFX trading at Barclays in New York, overseeing the investment bank’s electronic FX trading business globally. Shterenberg joins after spending more than five years with Bank of America Merrill Lynch where he held several senior roles, most recently as head of eFX trading for the Americas and global of FX algorithmic execution. During that time, he led the development of pricing and hedging models as well as FX algorithmic trading products. “Alex is one of the most innovative eFX trading professionals in the industry and brings extensive market and technical knowledge as well as client understanding to the role,” said Fabio Madar, global head of G10 FX trading and distribution at Barclays. Prior to Bank of America Merrill Lynch, Shterenberg was global head of FX execution services at JP Morgan, where he oversaw the design and implementation of new algorithms and models. He has also worked at UBS within in equities market data and trade technology business. “Barclays has a strong legacy in electronic FX and Alex’s appointment will help us accelerate our electronic strategy as we continue to invest in the Markets business to better serve clients,” Madar added. 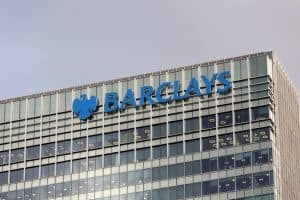 Last month, Barclays launched an online portal that allows institutional clients to view, verify and request changes to their FX electronic trading connectivity and settings with the bank. Known as SPECS, the tool was initially built for equities clients in 2015, but the new FX model is now available to Barclays’ FX clients via the BARX FX trading platform.